Endlich ist er da! Der neue Valvebucker von Ruokangas! "What an earth is a Valvebucker®..!? 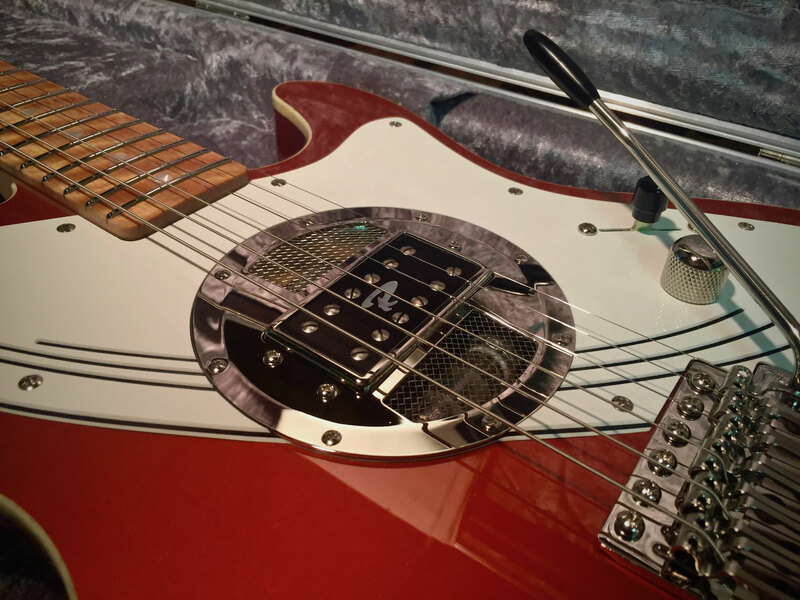 Simply put, Valvebucker is the only tube driven electric guitar pickup in the world. No more, no less. 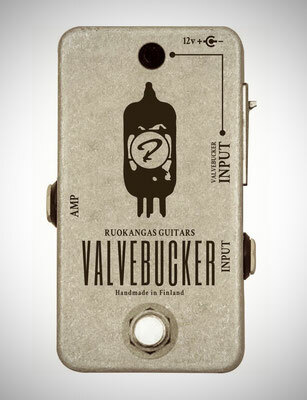 And… truth be told – the Valvebucker might also be the most important Ruokangas Guitars invention ever. Why? Because it’s out-of-this-world! The Valvebucker is something genuinely new and unique, that will expand your range to express your music. 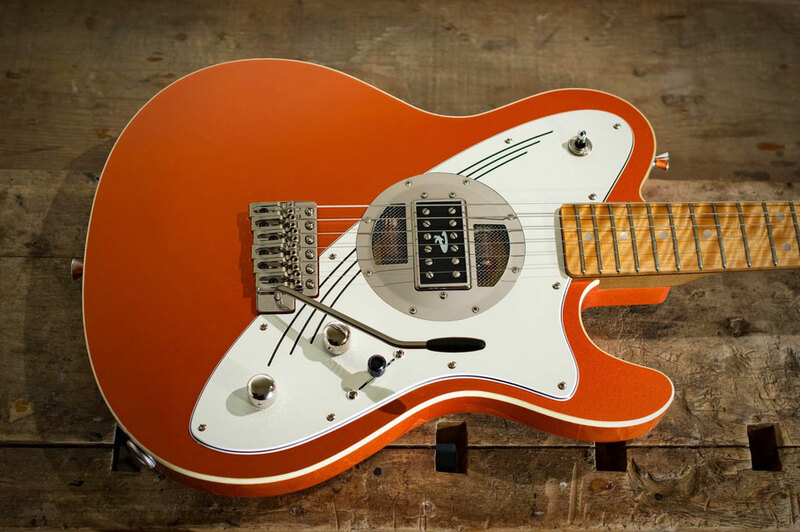 In other words – the Valvebucker might just blow your mind! The very beginning of this journey roots back to the year 2007, when I was on a car ride with a good friend and he asked me this question: “What if the electric guitar would have been invented in 1895?”. 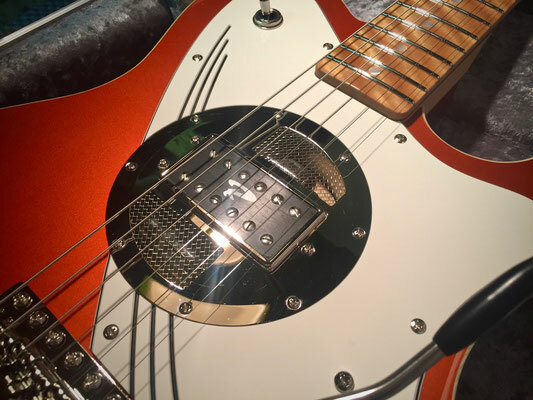 This started an unreal session of brainstorming and fantasizing – resulting eventually in what we decided to call Captain Nemo – a steampunk -influenced one-off custom guitar with an active pickup driven by vacuum tubes. The guitar looked superb, for sure, but we didn’t really know what to expect from the sound. I guess we were hoping that it would sound at least somewhat decent – but to our pleasant surprise the tone of the tube powered pickup prototype that we had by then baptized already as the ‘Valvebucker’ turned out to be jaw-dropping lively, delicious, rich, organic… It just blew us completely away! I got the Captain Nemo guitar ready just in time for the first ever Holy Grail Guitar Show held in 2014 – there’s a video made prior to the show where I tell you more in detail about the birth of Captain Nemo – and another video shot at the Holy Grail, where you can actually hear and see the guitar being played live. Guitar Connoisseur magazine also wrote an in-depth article about the Captain Nemo project – read it here! 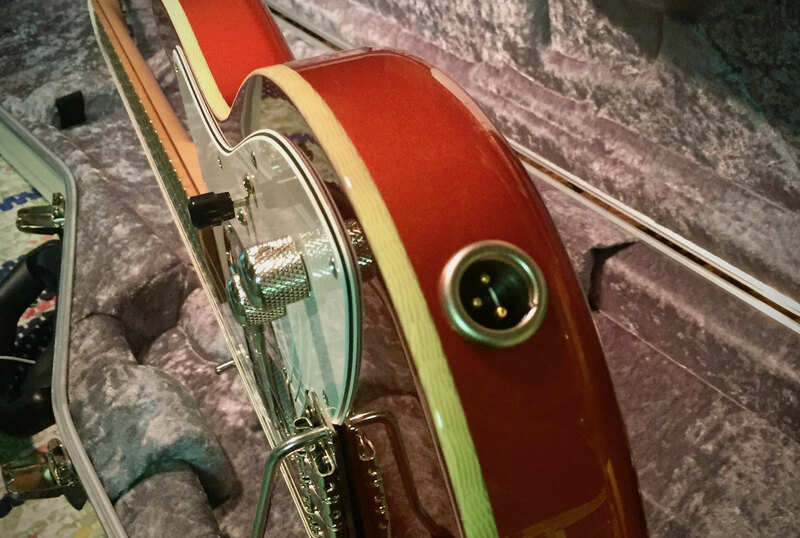 "How does a Valvebucker-equipped guitar work? It’s a simple and intuitive instrument that works the same way you’d expect any electric guitar to work. Even though the Valvebucker is “just one pickup”, the controls include a three way switch for different sounds, a volume and a tone knob – and an additional boost switch. The sound? It’s heavenly! And at the same time it doesn’t make much sense to try to describe it verbally. Instead, listen to the sound samples above for a little appetizer! The only difference to a regular guitar from the operational side of things is that a Valvebucker-guitar comes with a little floor unit in the size of a standard fx-pedal, connected to the guitar with a standard XLR microphone cable. Other than that it’s all business as usual! The floor unit has an A/B box function – meaning that one input is reserved for your Valvebucker-guitar and another for your regular guitar(s) – so you can easily integrate the Valvebucker-guitar to your roster of instruments. The floor unit connects to the power supply provided with the guitar – or you can alternatively connect it to your regular pedalpower with 12VDC output. Easy! 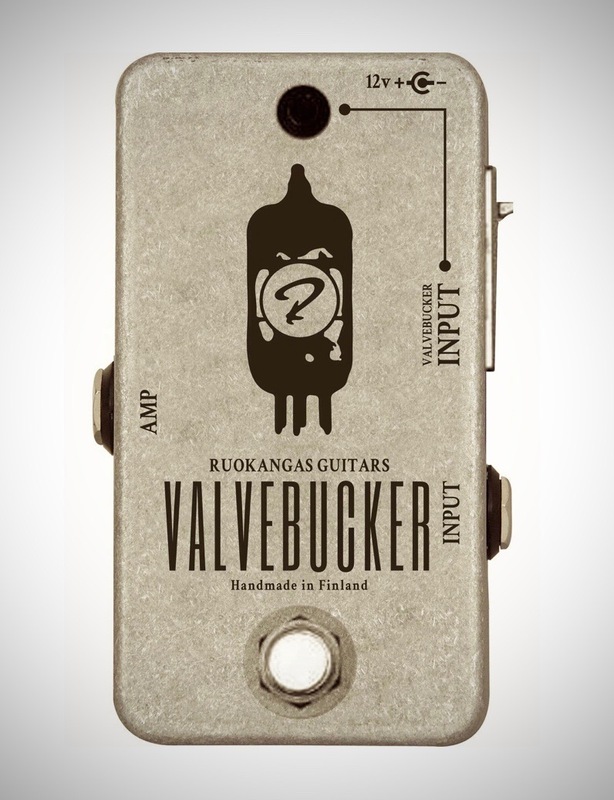 Developing the Valvebucker would not have been possible without the invaluable input by Junnu “My Favourite Nightmare” Vuorela, Jorma “Father” Kostamo, Jyrki “Son” Kostamo and Lassi “Thunder” Ukkonen. Thank you!! !